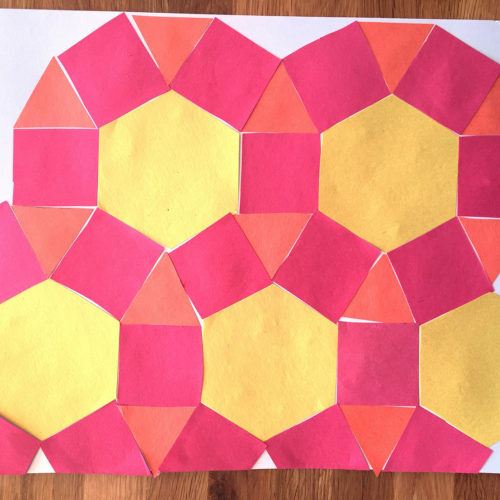 In Homes, we’ve been exploring tessellations — infinitely repeating patterns of shapes. They can continue in all directions, forever! 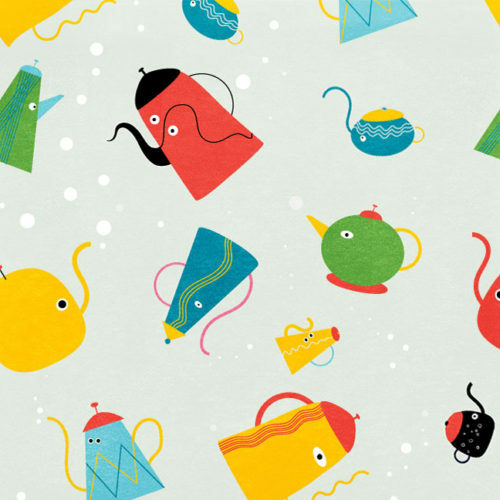 Found in homes around the world, tessellations can be functional, beautiful, or both. In this activity, make some refrigerator-worthy mathematical decorations with your kids. Activity: what is the shape of a home? 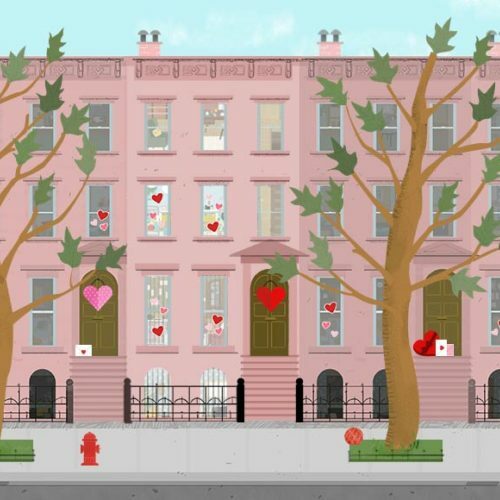 Make a map of your house in this printable activity. Kids investigate a floor plan of the row house in Homes and then draw a map of their own home. 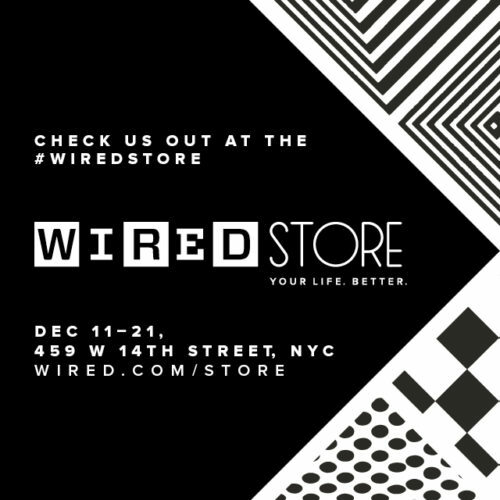 Join us at the WIRED Store in NYC! 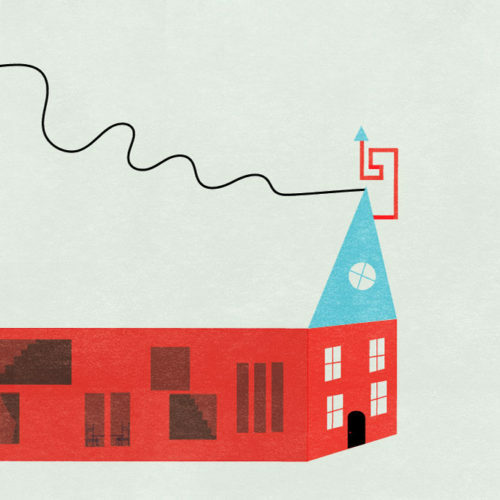 We’re partnering with WIRED to host an afternoon of play. Please join us this Saturday, December 13th, at the WIRED Store in NYC for Nuts & Bolts, a hands-on experience for the whole family. 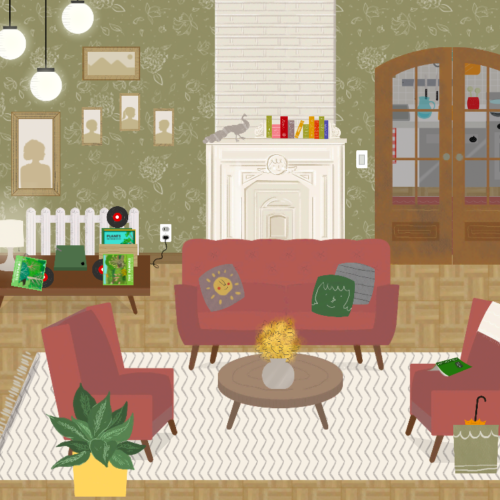 App update: celebrate & decorate in Homes for the holidays! 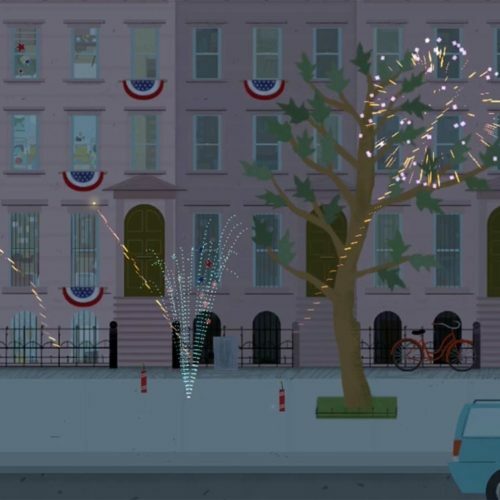 We’ve updated Homes for the holidays. 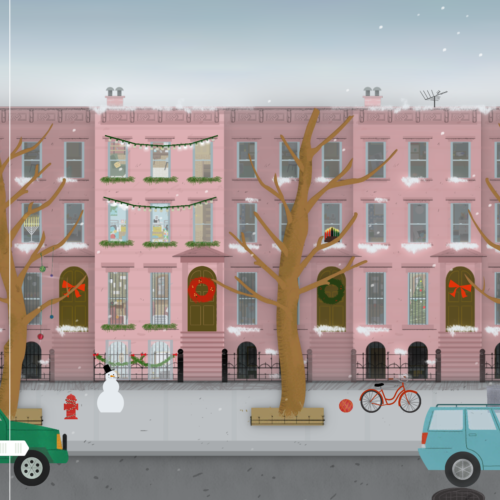 Decorate brownstones in Brooklyn with sparkling lights, wreaths, menorahs, or kinaras. Watch the snow fall or play with Frosty. Deliver presents in the car or down the chimney! Activity: what makes a house a home? Homes invites children to explore the world around them by visiting different houses in Guatemala, Mongolia, Yemen, and the United States. Each home is unique in structure and style, responding to the people and place where it was built. But, no matter where in the world we live, we all have the same basic needs and enjoy similar activities. One of the most fun parts of putting an app together is choosing the right artist. 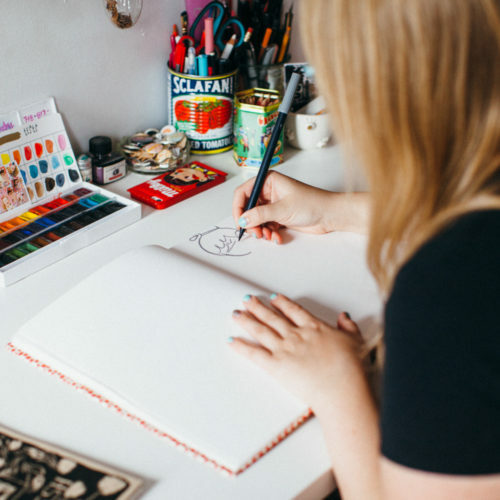 For Homes, we were so pleased to work with award-winning illustrator Tuesday Bassen. Tuesday filled each home with joyful, playful, and sometimes, personal details. Here, she shares a little bit about her own home, her working process, and her inspirations and influences. 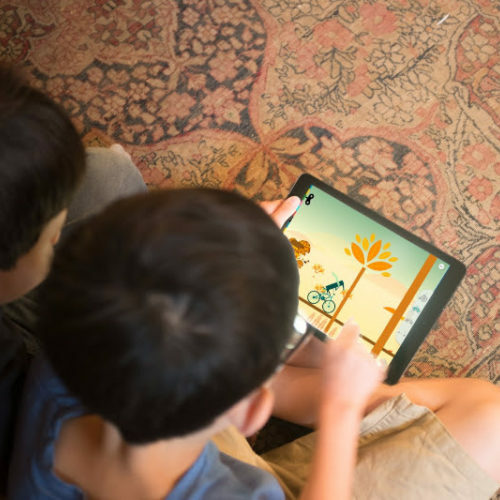 We’re so pleased and proud to share: our new app Homes is here!